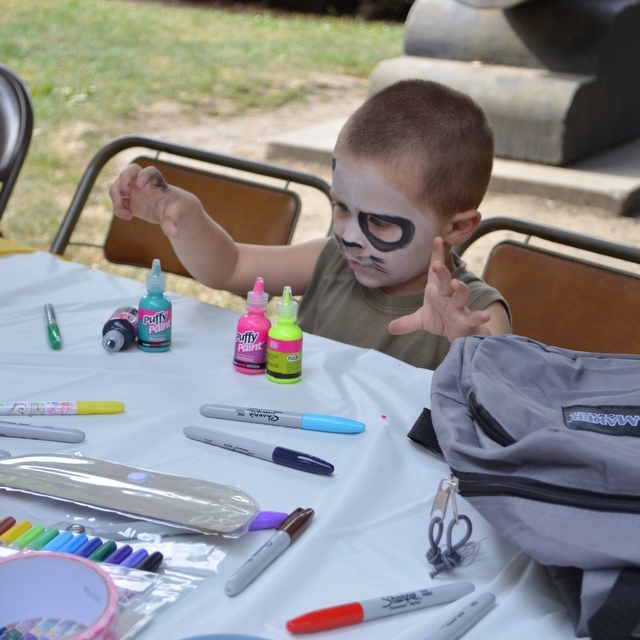 Success was in the Bag at the 1st Annual Community Fair | Center for Family Services, Inc.
August 8th turned out to be a perfect day and it wasn’t just the sunny skies and cool breeze. 20 local businesses and organizations spread out over Diamond Park in Meadville. Each one offering free activities, giveaways or information for event attendees. The “Success is in the Bag” Community Fair was sponsored by Center for Family Services, Inc. to give the families participating in our annual book bag and school supply distribution, access to additional programs and opportunities in our community. Our school supply program is open to any student attending pre-K through 12th grade in Crawford County. The Community Fair offered a family friendly experience and information about education and community involvement opportunities. Many of the families live in rural areas. Transportation issues often limit their access to community events. For the previous 10 years, families have made the drive into Meadville for the school supplies. This year they made memories together. Aside from $5 hair cuts offered by Laurel Technical Institue’s Cosmetology students, all activities were free. The families were able to enjoy the fair without worrying about spending extra money. Over 770 local students received new bags and supplies. 50 adults and children made this possible by volunteering at Stuff the Bus events that collected funds and supplies from community donors. The happy faces of the children wearing their new book bags was a heart warming sight. Big thank you to the volunteers who helped distribute the school supplies!